1. Pressure cook sprouted green gram with little salt and water. 2. Heat oil in a pan, add clove, cinnamon, fenugreek and crushed peppercorns. Add cumin and fry. Add slit green chillies fry. Add chopped garlic fry. Add curry leaves and onion, fry till transparent. Add tomatoes and salt. Cook for few minutes in low to medium heat. 3. Now add cooked Green gram and playa/ chutney pudi. Mix well. Add some water and cook for another few minutes. Switch off the stove. 4. 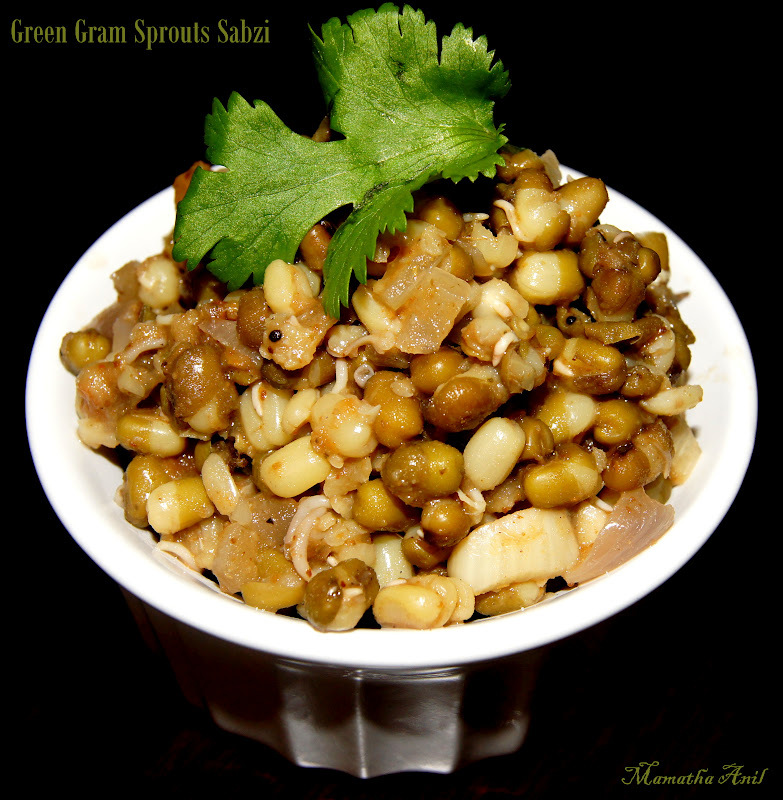 Green Gram Sprouts sabzi goes well with rice and chapati.